I've written & rewritten this post numerous times & then I left it to sit, waiting for me to be brave enough to publish it for a solid 5 months. It's scary to post something so vulnerable. For a long time I just wasn't ready to share something so personal that had happened. If you follow me on instagram then you may have seen a few posts about how I have been going through a hard time, alluding to the idea that something had happened but I was never very deep or open in the posts. In April I experienced a miscarriage & spent months building myself back up from it. It's something I never could have seen coming or planned for & it shook me up pretty good. Having a miscarriage is hard. There is no other way to describe it. Not only is your body going through something but your emotions totally get rocked. At least mine did. Thats not the only reason it's so hard but, the stigma that is around miscarriage. It feels almost taboo to talk about & for someone who is already bad at opening up about feelings, like me, then it is almost impossible to discuss. I felt such a strong sense of shame & humiliation when I shouldn't have. Miscarriages aren't something that most people talk about very openly but the truth is that the majority of us know someone that has gone through one. Austin & I were not planning to grow our family when it happened & I think I used that as shield to protect me when the miscarriage happened. We had both mentioned the future with a third little baby, but hadn't had any serious discussions about it when the miscarriage happened. 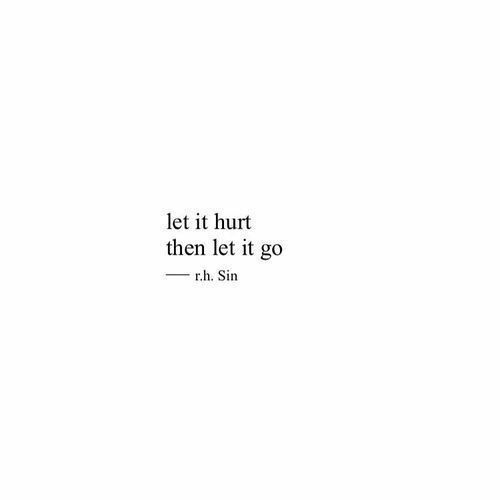 For some reason this is a fact that I was clinging onto when the miscarriage happened, thinking that it made it better because we hadn't decided it was time for another baby, I used it as a shield to protect me, like it didn't matter as much because we weren't officially "trying" but, it didn't, if anything it just helped me push down what I was really feeling. I never thought I would have a miscarriage. I don't think any women would think they would have one. In my mind, I had already had two healthy full-term pregnancies, so I just figured it wouldn't happen to me. Why would it? It was a stupid thought though, & it did happen. Let me take you back to when I knew I was pregnant. I had started showing early signs of pregnancy but I'm a little funny & when I am not ready to face reality, I just don't. So, in typical Kerry fashion, I didn't take pregnancy test, I didn't need to, I knew I was pregnant. I told Austin I thought I was pregnant & he told me to take a test just to be sure & I told him I would after my second missed period. The next month I still hadn't had my period & I knew I was pregnant, but I was planning to take a pregnancy test but, life got ahead of me & it got pushed off when a few weeks later I miscarried. Right away I knew what was happening but I was in complete shock/denial. It was terribly difficult to go through both emotionally & physically. I had migraines, was dizzy to the point of blacking out when I would go from sitting to standing, I couldn't go too far from the house or pick up my boys because I was in such pain. I hadn't taken the pregnancy test though & part of my mind wanted to believe it was just a late period, but I knew that wasn't true. My body had never done anything like this before, I knew it was a miscarriage. I went through this twice, once in April & again in May. I was still recovering from the initial miscarriage in April, physically & emotionally when the following month I had the same thing happen, but it was much more painful & lasted a lot longer. At the time we were out of town for a month & I wasn't sure what to do so I called my doctor & described to him what had happened & he was able to confirm that I was experiencing a miscarriage. Even though I knew that was what had happened, hearing him confirm it & say those words made my heart sink. He told me that it is completely normal to have the affects from a miscarriage last a long time & that the first period after a miscarriage is often just as bad as the initial miscarriage. He also told me that from what I explained, I had passed the baby completely naturally & that my body was healing & there would be no need for a D&C, so I didn't need to worry about going home from our trip. After all was said & done it took me a long time to fully feel the weight of the miscarriage off my shoulders. Austin & I didn't tell anyone what we were going through until July when I told my sister. It was something looming over me, I thought about it constantly & was in a complete funk over it. Even then, we didn't tell our parents until August. It felt like something so personal that I wanted it just to be ours, I didn't want to hear all of the apologies, I didn't want people to look at me with sorrow or pity & I didn't want anyone to ask when we would try again. Everyone experiences & deals with things differently but I am a brooder, I need to be able to brood in order to move on & I did't feel as though I could do that if I opened the flood gates to everyone. Once I felt that Austin & I had been able to come to terms with it, I felt open to telling those close to us & after I did that I felt the weight almost immediately be lifted. With the miscarriage came grief & anger & fear. I was constantly going through a whirlwind of thoughts like, what if I can't have another baby? What did I do to make this happen? Should we have another baby or should we wait? I was constantly going over these & others in my mind, it took up a lot of my day & a lot of my emotions. I was exhausted from it all to be honest. It's been almost six months since the miscarriage & I feel as though I have finally come to terms with it. Sometimes I catch myself thinking about it, like the fact that If I hadn't had a miscarriage I wouldn't be too far off from my due date, then I think about my life right now with an added baby & whoosh! It would be crazy. Since it happened, I have thought a lot about how difficult it would be to go through a miscarriage with your first pregnancy. The miscarriage brought me so much uncertainty & fear & I can only imagine how much harder & scarier it would be with a first pregnancy. My heart aches on a whole new level for anyone that has had a miscarriage, especially in their first pregnancy. I now know that the miscarriage happened for a reason & I no longer question what I did to cause it. It's not something I can pin on myself because it was out of my control. I think once I truly believed that, I was able to feel ok about all of it. It has taken me a while but, I feel more comfortable talking about it & I think it doing that I have been able to move on. I know that it wasn't the right time for me or my family to have another human enter this world & I'm ok with that. Going through this has made me even more grateful for the two littles that I do have in my life. Getting up & playing with them every single day really helped me be able to continue forward. I think without their influence of my life I could have easily stayed in a deep hole for longer than I already did after the miscarriage, but luckily for me they were constantly there to push me forward.